We’ve officially lived in our house for five weeks now and we’re still working on getting settled into each room. For the most part we have all the furniture where it should be but it still felt like it was missing something and then it dawned on me – we have nothing on the walls! 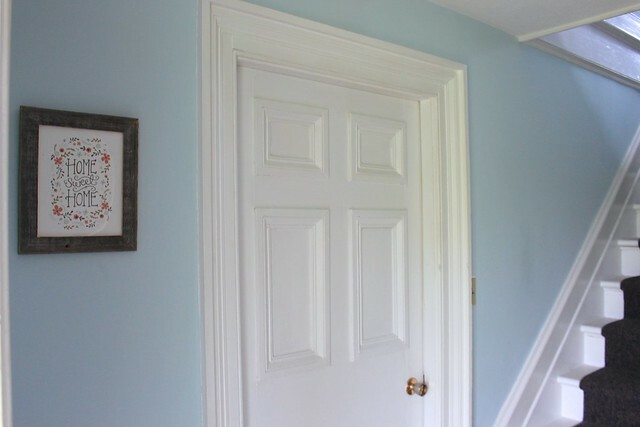 At our old apartment we had paintings by family and friends, a gallery wall of photos and few souvenirs we picked up along the way, but I didn’t know how they’d fit into this new house. We’re got large rooms with spacious walls and it felt like we needed something that was more of a statement piece. 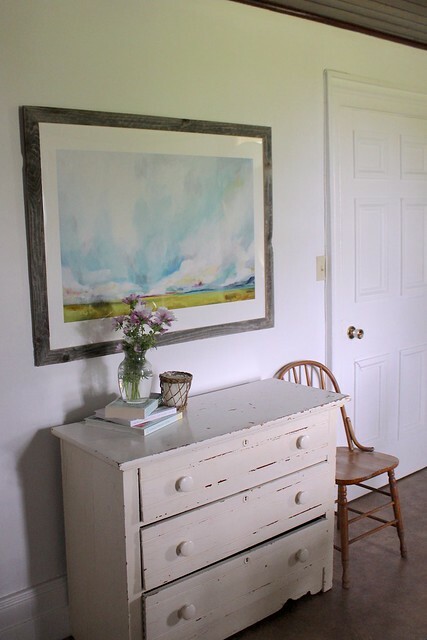 I found some amazing pieces at the Minted Art Marketplace that came in large scale prints that could fit our big walls, like this spot above the antique dresser from my great aunt’s farmhouse. I’m using this as a sideboard for our dining room right now and I wanted it to be a nice view for our dinner guests. 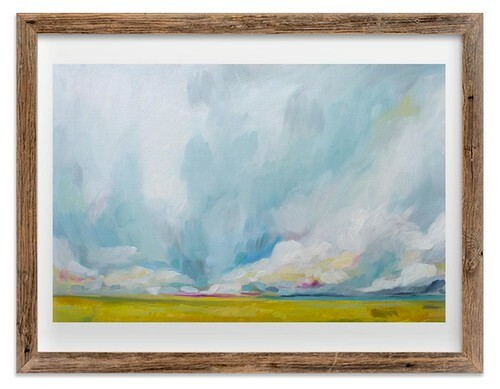 There were so many great pieces to choose from, but in the end I settled on this large scale landscape print, Savannah Lands by Emily Jeffords. I loved how it reminded me of the beautiful views we have here at the farmhouse. 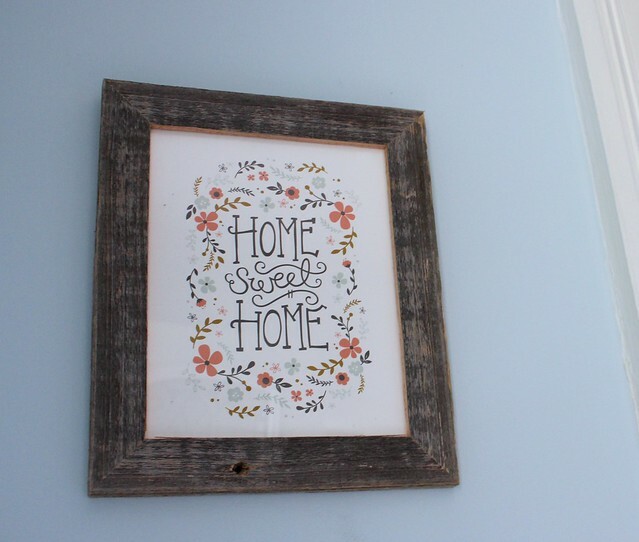 I chose this reclaimed barn board frame and I’m in love with it. 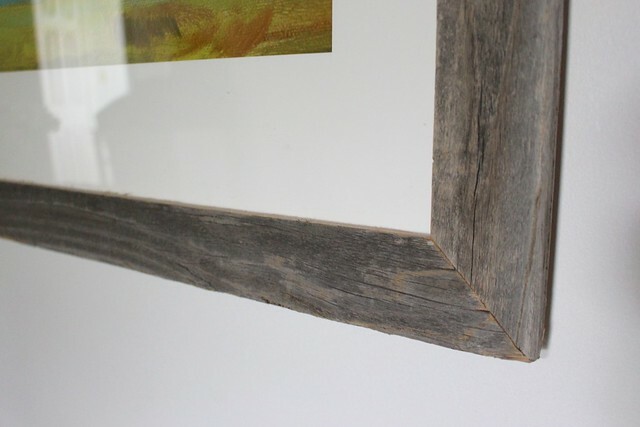 It’s handcrafted in the US from wood from old barns and it’s perfectly imperfect, with a great weathered look. The framing itself was very well done, with acid and lignin-free paper. I was really impressed with the quality. We’ve received so many compliments from people already and it made me start thinking about other places we can add some artwork in our home. 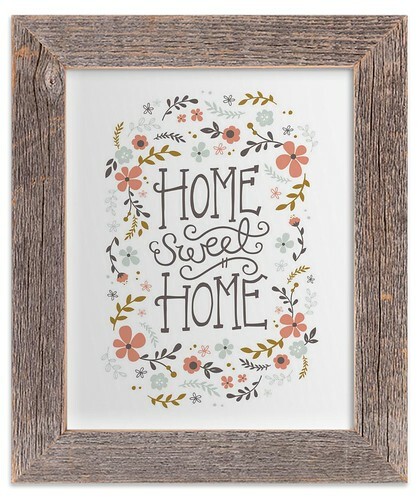 The other piece I chose was this Home Sweet Home print by Kristen Smith for our front hall. It seemed like a fun way to greet our guests on their way into our home. Again I went with the reclaimed barn board and I love the rustic touch. It fits in perfectly with our farmhouse theme. 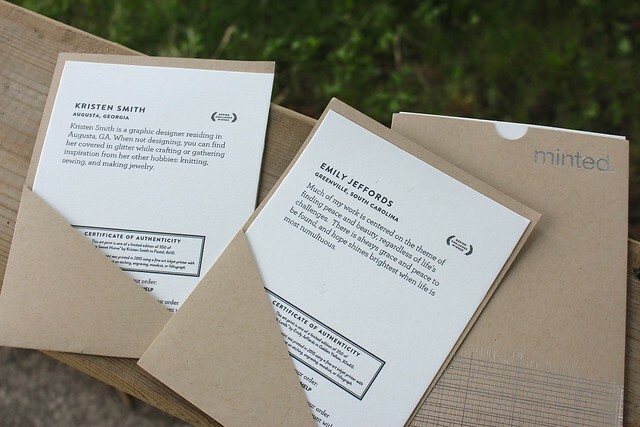 Each print came with its own certificate of authenticity, marking it as a limited edition print and including a little word from the artist. 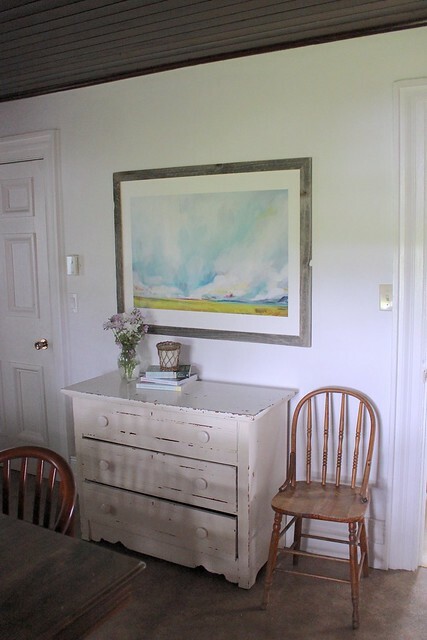 When I read that the artist Emily Jeffords from Greenville, South Carolina it was such a coincidence, because we were actually there on our honeymoon road trip last spring visiting Garrett’s aunt and uncle. Kristen Smith is from Georgia, which was another stop on our trip. Small world! 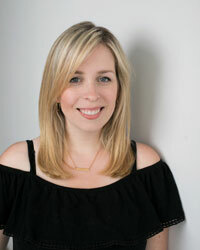 This post is sponsored by Minted Art Marketplace. I received the product for the purpose of this review. All opinions are my own and language are my own.